Undeniably, infant and toddler clothes are adorable. Babies have a special way of making anything they wear absolutely cute! 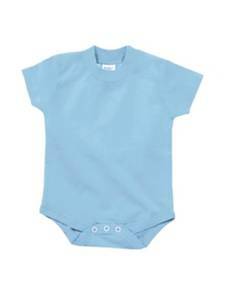 Throw a plain onesie one your little one, and you’re on your way! Lucky for you, here at ShirtSpace we have a large selection of plain onesies for you to choose from. Whether you’re purchasing onesies as a gift, planning to have your own little one wear them, or are looking to screenprint a sweet, baby friendly design, we have definitely got what you need. Our selection of plain baby onesies include a variety of colors, in sizes that range from newborn to 24 months, which are perfect for baby girls and boys alike! Additionally, we have multiple organic cotton options if that is your cup of tea! So, if you’re looking for a sporty baseball onesie, ringer onesie, golf shirt onesie, or your standard plain creeper, look no further! Even better, our onesies are offered at an affordable price so that buying clothes for that special little one doesn’t break the bank! Who doesn’t love that? If you’re in need of just one onesie or 500+, you’re in luck. We do not have any order minimums so you can order as few or as many onesies as you’d like! Every little bit of savings helps these days, which is why we're excited to offer competitive prices on all of our plain baby onesies! In addition to the affordable pricing that we offer, we also pride ourselves in quick and accurate shipping so that you can expect to receive your onesies in no time at all!